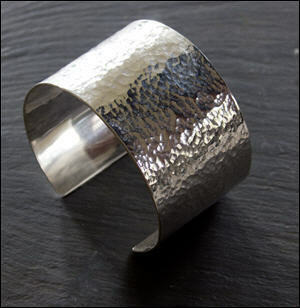 I am a designer and maker of contemporary sterling silver jewellery based in the Welsh Marches. My studio is a converted barn at home where I produce unique pieces that are designed and handcrafted from scratch. 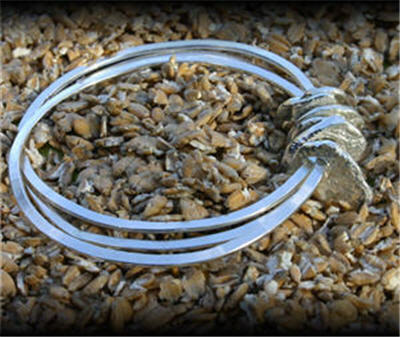 I use a variety of techniques such as forging, etching and reticulation which enable me to manipulate the metal and create unusual surfaces. Semi-precious gemstones and pearls are at times incorporated to compliment the design and add vibrancy and contrast. Strong emphasis is placed on experimenting with the metal to produce diverse textures and sculptural forms. 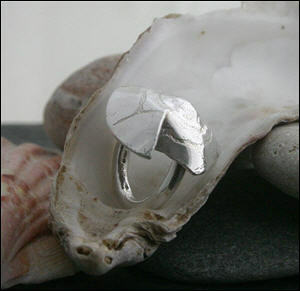 Influence comes from organic forms and geological structures, reflecting the natural world and the processes of erosion. Jewellery is hallmarked at Assay Office London, where appropriate. If you would like to commission a bespoke piece for yourself or as a gift please email me with your enquiry. All jewellery is beautifully packaged in a bespoke Moltenrocks box tied with a velvet bow. A hand written gift message can be included. 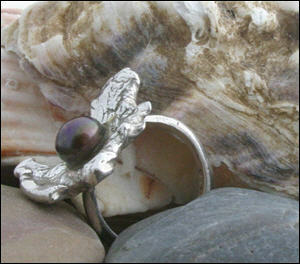 Here is just a small selection of my jewellery.